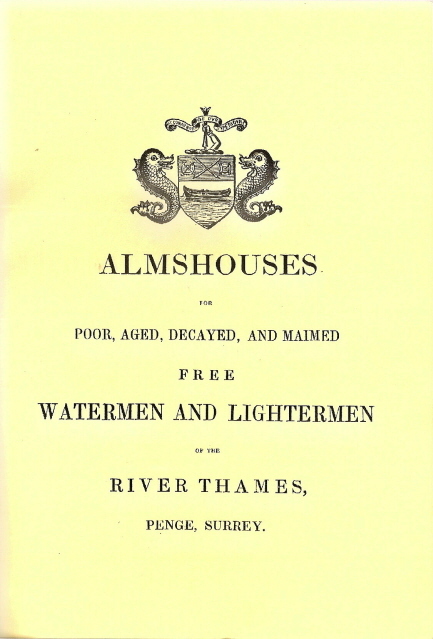 Almshouses for Poor, Aged, Decayed, and Maimed Free Watermen and Lightermen of the River Thames, Penge, Surrey. This book originally published in 1841 as part of a larger volume of Almshouses is important in that the buildings of the Almshouses were and still are (although they are no longer almshouses) a significant part of Penge. It has been faithfully reproduced by us complete and in almost the original size. The Penge Almshouses were designed and built 10 years before the Crystal Palace was constructed in Hyde Park and 13 years before the move to Sydenham. The book contains a conceptual plan and engraving of the 'new' almshouses together with the original plea for funds, Rules and Regulations and for the family historian 21 pages of persons making a financial donation to the fund, alphabetically arranged.